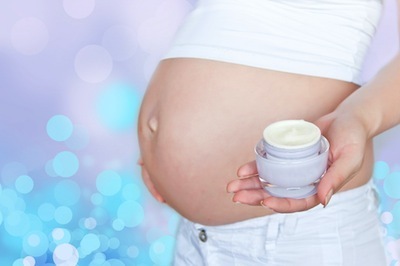 Summary Recommendations: Trentinoin is generally considered unsafe for use during pregnancy. There have been birth defects associated with the drug or a drug in the same family. If you are using trentinoin or similar drug when you find out you’re pregnant, contact your obstetrician or dermatologist immediately for advice on stopping treatment. Other names for trentinoin include Tretin-X, Retin-A, Avita, Renova and Atralin. Trentinoin is closely related to isotretinoin, adapalene and acitretin. General Precautions: Trentinoin is a topical acne treatment associated with birth defects. The association is minimal with only four reports of adverse side effects associated directly with trentinoin use. There are birth defects associated with isotretinoin use that resemble those reported in trentinoin users, which is cause for alarm. Isotretinoin is an oral treatment, which means the drug enters the bloodstream where it passes through the placenta. Trentinoin is a topical treatment. Only a small fraction of topical treatments enter then bloodstream, but applying too much to the skin or applying treatment too frequently can increase the amount of the drug in the bloodstream, increasing the risk of birth defects. Effect While Trying to Conceive: There are no known effects on fertility, but trentinoin stays in the body about one week so patients are advised to stop treatment at least one month before attempting to conceive. Effects on Pregnancy: Possible side effects of taking trentinoin include spontaneous abortion, so blood pregnancy tests are typically ordered before starting treatment and intermittently throughout treatment to assure the patient is not pregnant. Birth defects associated with the drug include facial deformities, central nervous system abnormalities and parathyroid hormone deficiency. There are reported cases of fetal and infant death associated with trentinoin use. Safe During Breastfeeding: Only a small fraction of trentinoin is passed into the bloodstream and to baby via breastfeeding. The American Academy of Pediatrics claims the drug can be used by breastfeeding women in some cases. Studies on acitretin related to breastfeeding have been performed with potential toxicity being reported with regular use. Acitretin is in the trentinoin family.